The start of “Buffy the Vampire Slayer” and the show’s rise to cult popularity inspired many artistic, entertainment, and scholarly writers to comment on how the show addressed philosophy, ethics, and even TV production. Here is a list of the best “Buffy” books that are out there. The official book to celebrate the 15th anniversary of the show, the package includes in-depth commentary, a foil-stamped slipcase, 120 images including rare behind-the-scenes photos, sketches, props and memorabilia, and an envelope holding “Slayer Lore: Texts and Magicks for the Battle” — replicas of the ancient spells and prophecies used in the show. A hefty tome surveying Joss Whedon’s work, career, and contributions to popular culture. This book covers the entire Whedonverse (“Buffy” and beyond) and contains various essays and interviews by and of people including Jane Espenson and Tim Minear. The author explores the psychology of Joss Whedon — or, more accurately, his most-popular TV shows like “Buffy” — and examines mental problems like mother issues issues, governmental experiments on demons, how a man could become a cannibal, and the psychological effects of being the chosen slayer. In a series of academic essays, the contributors address issues like comparing Buffy’s use of religious symbolism with Joss Whedon’s atheism, wondering whether the heroine is a Kierkegaardian “knight of faith,” if Faith’s turn to evil and then return to good demonstrate Platonic eudaimonism, how the show might highlight problems with Nietzsche’s idea of the Superman. A collection of the show’s many pop-culture references with color-coded tables plotting the character, writers, directors, and actors and episode listings for the bands that performed at the Bronze. The author presents a nuanced discussion of the nature, role, and place of gender in “Buffy the Vampire Slayer” without needing to use too much of the jargon in the field. Do you think “Buffy” is “post-feminist,” “feminist,” or something else? This book might change your mind. This tome presents emotional, well-written, and often-funny articles by professional sci-fi writers who detail what they like and not like about “Buffy the Vampire Slayer.” The essays discuss the show’s literary style, explore its meaning in the context of themes of love and growth, and explore the so-called dark side of the fictional world as well as its view morality. 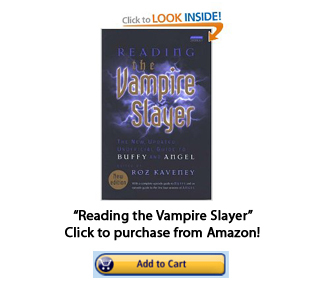 This is considered to be the most-extensive, authoritative collection of information on the so-called “Buffyverse,” the fictional world in which the TV series, its Angel spin-off, and the first “Buffy” 1992 movie. 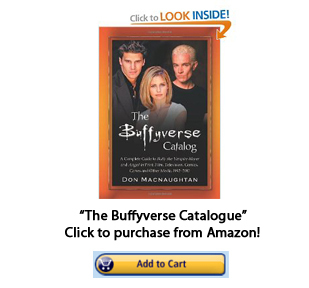 The writer categorizes the Buffyverse and related materials about the programs. The book looks at the various characters in plots in all of Joss Whedon’s productions to see what views they may have on ideas including personal freedom, sexual morals, the nature of evil, and even the religion of Daoism. 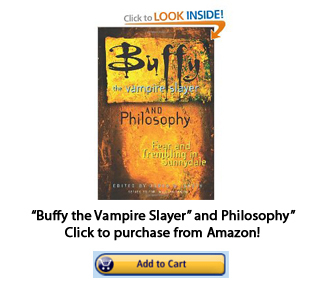 The author explores “Buffy the Vampire Slayer” in the context of three themes — personal spirituality, companions, and saving the world — while quoting religious texts, poets, and philosophers who shed light on each section’s purported “lesson.” Still, the book does not become too serious and instead provides another medium that should be appreciated by those who like the show. Available for pre-order at Amazon. A group of female writers discuss the various television programs of Joss Whedon, highlight the effects of his work, and their various roles in the fan community while, perhaps, misbehaving a little at the same time. Fighting The Forces: What’s At Stake In Buffy The Vampire Slayer? In these writings, the authors address “Buffy the Vampire Slayer” in the view of technical techniques and viewpoints, societal and culture topics, and literary topics and influences. In addition, trends including fanfiction as well as Internet groups are explored. This book explores the relationship between Buffy and Spike, the plots and themes of the spin-off “Angel,” and include interviews with various screenwriters. The author also writers introductions and overviews to all of the seasons and their themes and plots. The author writes that “Buffy the Vampire Slayer” does indeed have a lot of artistic merit, despite what cynics and detractors maintain. Wilcox examines narrative arcs and single episodes to find allusions to writers including Joseph Campbell, William Shakespeare, T.S. Eliot, John Donne, Virgil, and Charles Dickens. A commentary on the show that takes the form or something on American slang and youth culture in the 1990s in the context of actuation, lexical gaps, loose idioms, syntactic patterns, and ephemeral language in “Buffy.” It also includes a comprehensive glossary with parts of speech, etymology, and definitions. The author looks at the antecedents and influences on how “Buffy” “pushed the television envelope” to form a complex mythology that combines fantasy and emotional realism. 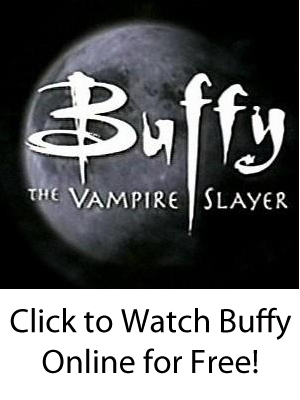 The authors discuss how “Buffy the Vampire Slayer” is used in classrooms to explore narratives in TV, archetypes, morals and ethics, feminist ideas, notions of personal identity, non-verbal communication, and additional topics. An examination of how “Buffy”‘s fanbase communicates through types of media including fiction, videos, music, and art. This anthology discusses the music in the so-called “Buffyverse” and addresses how music complements and enhances the narrative. Sarah McLachlan’s songs address Buffy’s feelings and another chapter shows how Spike’s musical ability links him with humanity much more than other Big Bads. A compendium of hundreds of quotes that, whether funny or emotional, reveal how the show changed how language is used in television forever. Reflections on “Buffy” from a writer for “Star Trek: Voyager” and blogger on sci-fi and fantasy television. The author rationalizes the events in the show by comparing demons to actual animals, Newton’s laws of physics to Buffy’s fighting tactics, conservation to magic, and humanity’s struggle against evil to the inevitable increase in entropy — among other topics. The author looks at the cultural commentary inside “Buffy the Vampire Slayer” and discusses teenage problems, broken homes, the search for meaning, values, ethical choices and the effects of a person’s actions. The closing chapter details what the writer thinks the show says about modern society. Viewers never saw what was contained in the Sunnydale Class of 1999 yearbook. Buffy’s imagined yearbook is part high-school publication, part memory-collection, and part personal writings and candid photographs. A directory of World Wide Web sites devoted to the show that includes both official and unofficial sources. It lists the sites by topic and takes the time to separate the good ones from the bad. A set of conversations and discussions with the creator of shows including “Buffy the Vampire Slayer” and “Angel” reportedly combining fan questions on Internet forums, professional thoughts about the entertainment industry, and several other topics. An in-depth look at the man who created an interview universe of interesting characters, plots, mythologies, heroes, villains, and more that has inspired millions of people around the world since the 1990s. A broad-yet-comprehensive analysis of the show that look at the characters along with the mythic, religious, and cultural themes throughout all of the seven seasons of the television program. The book has been revised for the “Buffy” tenth anniversary and is considered one of the definitive retrospectives.